68 teams are invited to start off the NCAA tournament. These teams are chosen on March 17th this year. The first round of games begins March 19-20 called the First Four play ins, to get down to 64 teams before the madness really begins. March 21-24 begins Rounds 1 and 2 where a lot of teams are knocked out, and you'll quickly see brackets begin to break. Heading into March 28-29, we get to see the Sweet 16, which is when the sames really amp up. March 30-31, we move into the Elite Eight. Then April 6, is the Final Four and lastly the Championship game is just 2 days later on April 8th. The games can be viewed on 4 major networks CBS, TBS, TNT and truTV. If you have no connection to cable, you can watch with any SmartTV services like Roku, Apple TV, Fire Stick and Chromecast. If you're already subscribed to YouTube TV, or Hulu Live, you'll also be able to find it this way. 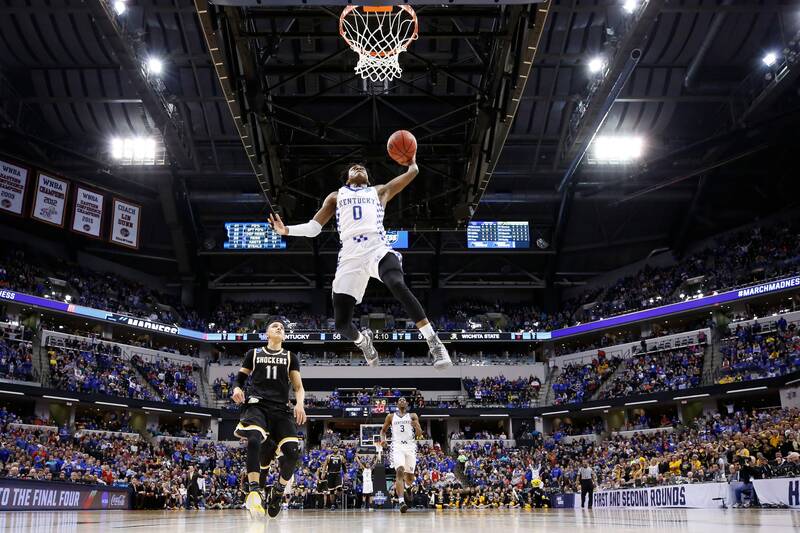 The teams to look out for this year are definitely the UNC, Duke, Tennessee, Clemson, Kentucky, Cincinnati, Purdue and Virginia., which are always a safe bet to put further in, closer to the winners of your bracket. Look out for a special announcement from us on Monday, regarding how you can get involved in the fun of March Madness.